It’s getting cold outside, ensuring that your dogs get enough exercise throughout the year is crucial to their health. Here we present seven useful tips to make sure that you are giving your dog enough exercise throughout the winter. Upgrade a standard backyard romp to a trip to the dog park, a nature trail or another enticing locale. Or, just walk a different route than you usually do. Also, arrange to take your dog out with other dogs, or hire a dog walker if necessary. When you go out, bring a few treats and use them to reinforce a positive cold-weather outdoor experience. You can’t blame your dog for not liking to walk around outside when the cold ground, snow, ice, salt and chemical de-icers burn, sting, dry and crack her paws. Get her accustomed to them at home first, offering treats and praise as positive reinforcement. If your dog simply won’t wear booties, Becker suggests petroleum jelly or a commercial protective gel for canine paw pads. Wipe off your dog’s paws immediately after returning home so she doesn’t ingest gel, rock salt or other de-icers while licking. 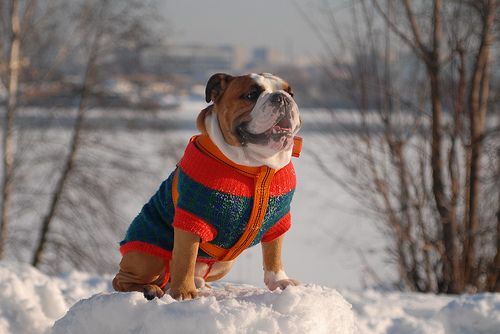 Lots of dogs have built-in coats that can handle cold weather, but many benefit from the additional warmth provided by a doggy jacket or vest, especially in really low temperatures or for extended excursions. 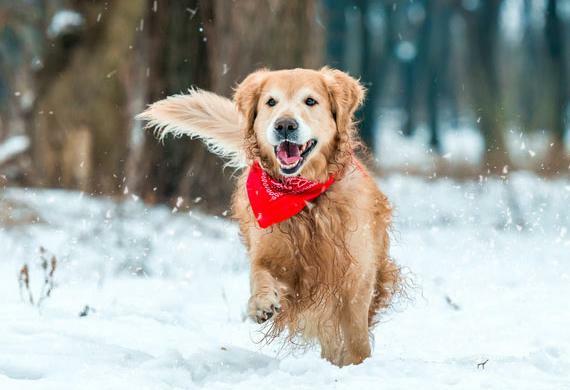 Providing fresh air, exercise and stimulation for your dog during the cold weather is important, but there is such a thing as too cold. Remember, young and senior dogs and those with conditions such as arthritis struggle even more in the cold. Watch for signs that your pooch can’t handle the deep chill; they can include shaking, cowering, repeatedly lifting up her feet and continuously trying to go back inside. Dogs are our best friend, they need warm and love in cold winter.